I recently went southwest to visit my hometown, which is located between Galveston and Houston Texas. On my visit I had the opportunity to collaborate with Joey & Jaime, two incredibly talented designers based in Houston who’ve created their own apparel company. 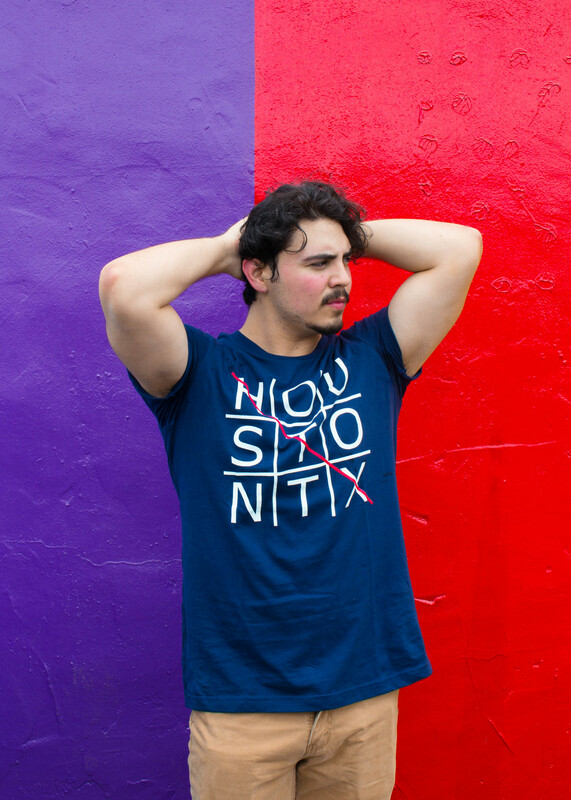 Their products focus on Houston pride through authentic designs that express what it means to be a true Houstonian. 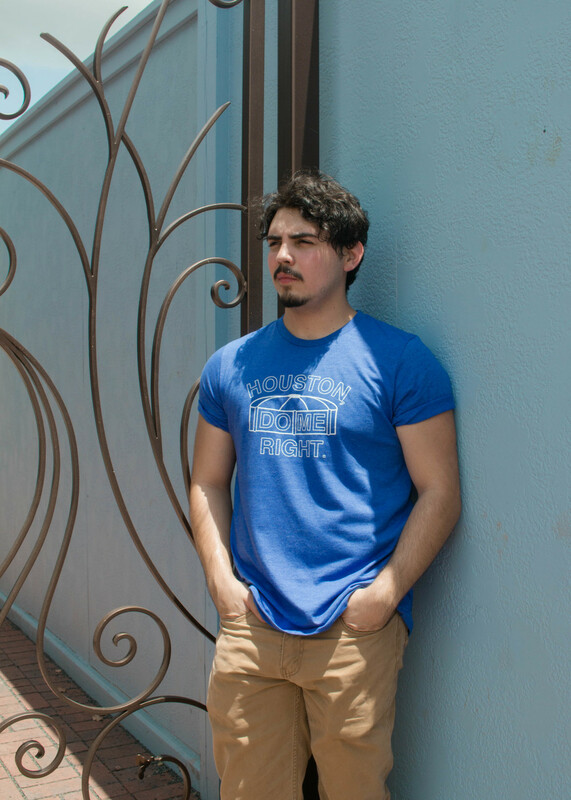 I along my youngest brother and our model/friend, Ismael Reyes took a long drive to downtown Houston on a hot Saturday morning in search of an area that described what it meant to be from such an amazing city. 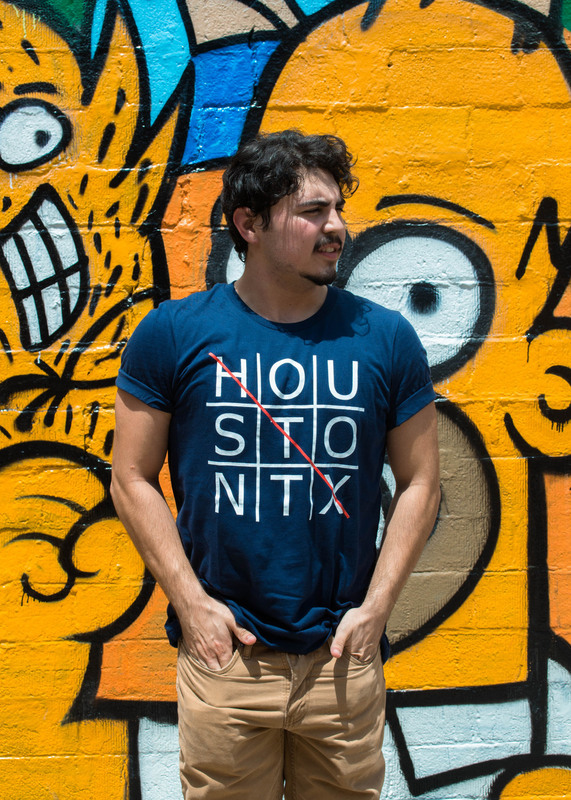 Our stop was the Westheimer area, a personal favorite of mine, with its long list of colorful walls and welcoming atmosphere; a true Houston icon. The first stop was at Biscuit Home’s Biscuit Paint Wall, a mural created by local artist, Sebastien “Mr. D” Boileau. The colors and vibrant design stood out as one my most favorites. 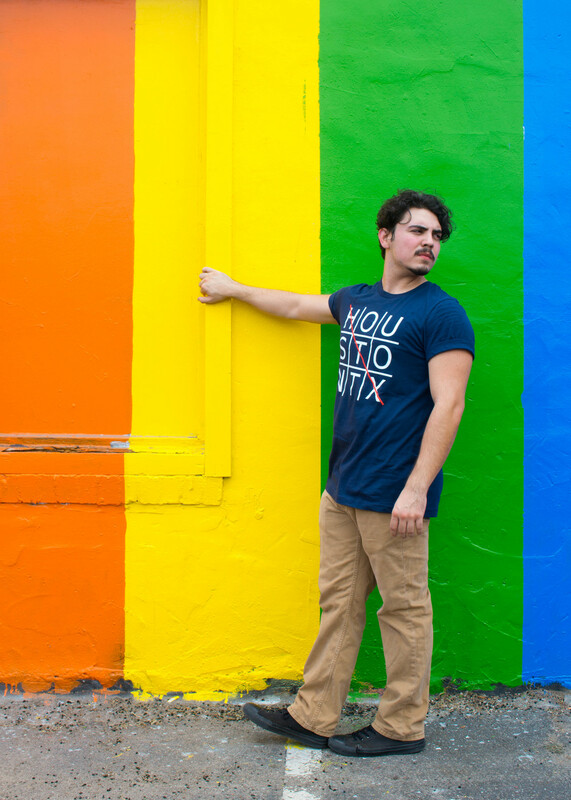 Other murals we checked out were Pride Wall HTX, located on the side of High End Smoke shop and one of Daniel Anguilu illustrative murals located next to Agora. Seeing these works of art had me wondering what other murals were in the area and what other places I still needed to explore. I feel pretty pleased with the shoot overall, especially having a brand such as Joey & Jaime part of it makes it a whole lot better. Read more about who they are and check out their amazing collection of products at joeyandjaime.com or on Instagram @joeyandjaime. Thank you to our model, Ismael Reyes, my little brother who joined us as my assistant, and Joey & Jaime for making this possible. To end this off, I leave you with the rest of the shots. Hope you like them as much as I do. Until next time!